Find the best of gracious living and stunning lakefront views, all nestled in the sophisticated, resort-style community of Huntington Pointe. 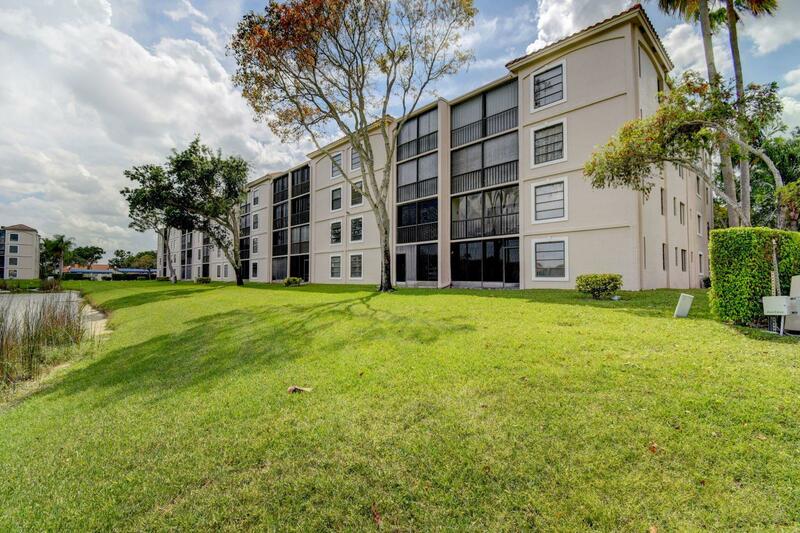 This light, bright condo features gleaming ceramic tile floors and design updates throughout. Here youll find a cheerful eat-in kitchen with plenty of cabinet and counter space. Formal entrance opens into an open-concept living space, which flows throughout to an expansive Florida Room -- a perfect space for additional seating or dining overlooking the gorgeous lake view. Fabulous Huntington Pointe amenities include clubhouse with live theater, themed social events, classes, and clubs. State-of-the-art fitness center plus heated pool, spa, and sauna indoors, as well as outdoor pools, tennis and games courts, and a putting green outside. A must-see.